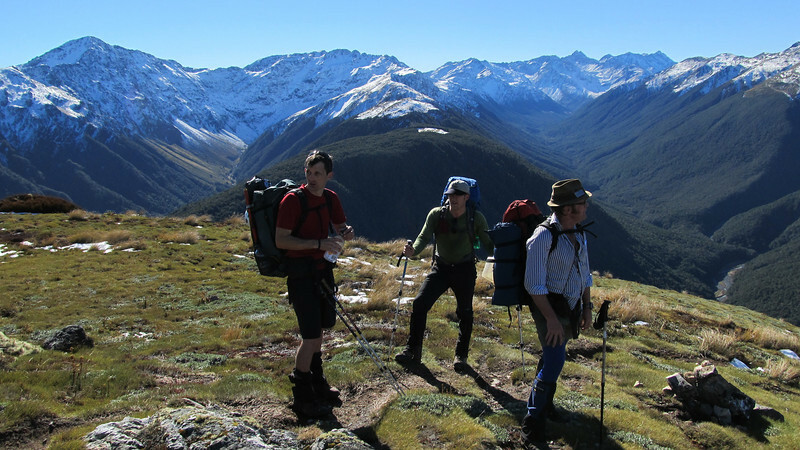 NZAC weekend excursion to the head of Deer valley along the Lewis Pass tops in perfect weather. The intent was to climb Mt Technical, but unfortunately, a fresh layer of snow forced us to turn around on the west ridge below the summit of Mt Technical. View of the Spenser Mountains above bushline. Johno, Anthony, Charles.